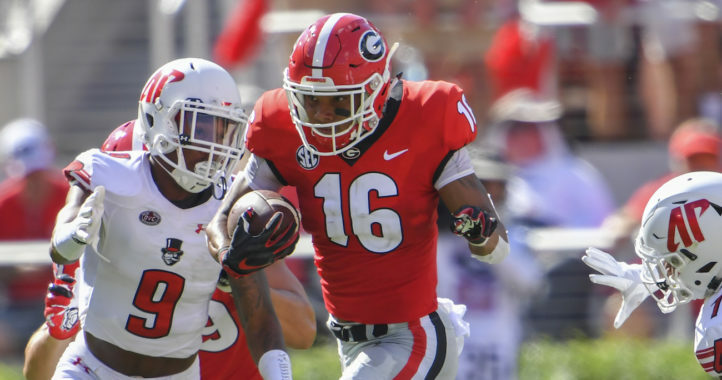 Georgia fans likely have heard the term “STAR” referring to a position on the Bulldogs’ defense, but it’s one that might not be fully understood. This isn’t basic football phraseology. 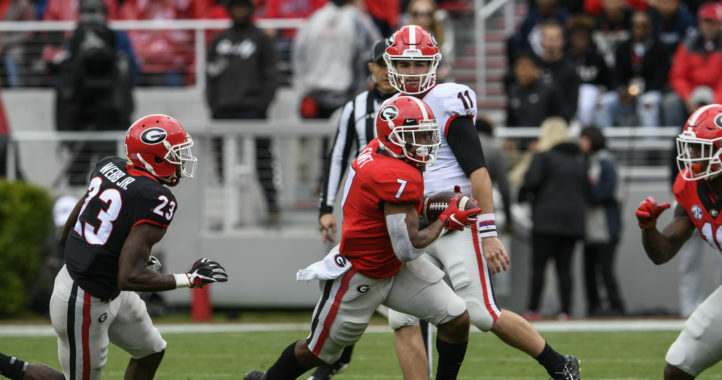 Instead, STAR is Georgia’s name for the hybrid linebacker/defensive back position that has become increasingly prevalent in the college football landscape. Last season, Alabama transfer Maurice Smith manned the STAR position for the Bulldogs. It was a role he was familiar with from his time with the Crimson Tide, and Smith gave Kirby Smart a veteran player to use at one of his defense’s most important positions. Smith is gone, however, and Smart must find a new player to step up at that spot. It’s a critical position battle for Georgia this spring, and fans should be aware of why that is the case. For starters, the STAR has been at Georgia for a while. Interestingly enough, however, it’s one that can be traced back to Nick Saban and Bill Belichick. After his stint with the Browns, Saban went on to become the head coach at Michigan State, where Todd Grantham served as his defensive line coach. It was Grantham who brought the STAR position to Georgia when he became the Bulldogs’ defensive coordinator in 2010. When Grantham left, Jeremy Pruitt, another Saban disciple, filled the position and kept the STAR philosophy intact. No coach is as closely tied to Saban as Smart is, however. Smart’s version of the STAR position is practically identical to the one that Alabama employs, which makes it fundamentally important to the Georgia defense. It seems counterintuitive to take a player with a hybrid skill set and lock him into one role, but that should speak to the abundance of roles that the position must occupy. In Smart’s defense at Georgia, like the one he helped build at Alabama, the STAR position is used as a sub for the SAM linebacker. The reason is that a SAM linebacker is likely a liability in pass coverage against a slot receiver. Instead of playing a true nickel defense, however, and replacing that linebacker with a fifth defensive back, who might be a weak link against the run, the STAR position is utilized. The STAR should have the quickness to cover the slot, sound tackling ability and can rush the passer when needed. Some coordinators look for different skill sets when filling this role. Grantham preferred hybrid linebacker/safety types like Alec Ogletree and Josh Harvey-Clemons, whereas Smart is more apt to take a player with truer defensive back qualities. Smith (pictured below) was an ideal player for Smart to use in his first season, and he was a veteran who could help teach the intricacies of the pass defense while fully understanding one of the most important roles on Georgia’s defense. Now that Smith is gone, Smart has a few players in mind for the STAR position. 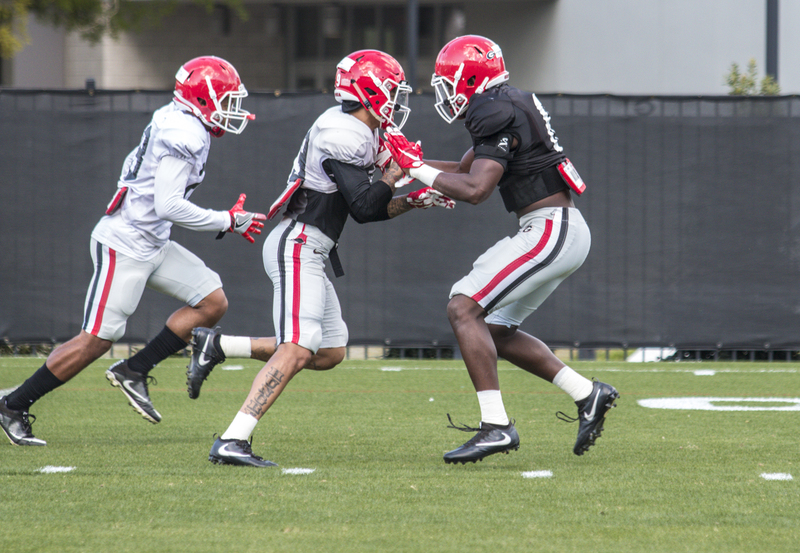 “The way we’re practicing, Tyrique (McGhee) is really our STAR,” Smart said on Tuesday. “But he’s on a split field when we split them up, so he practices at corner and he practices at STAR. He’s taking reps at both places, because if we lost a corner right now, Tyrique might be the first corner in the game. But he is our STAR if we played today. 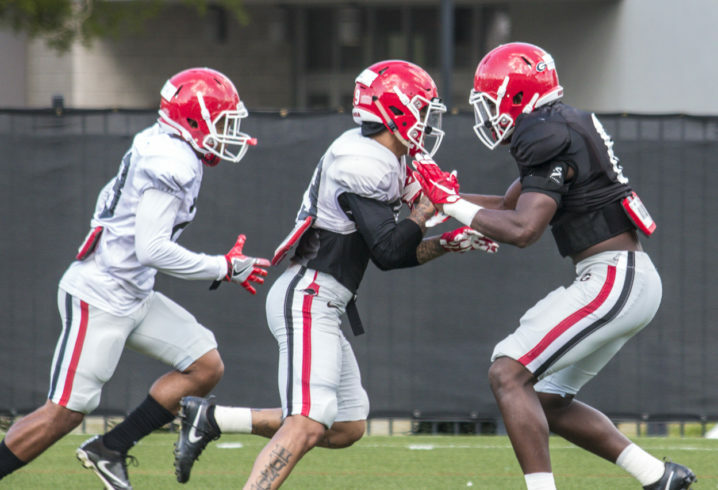 Smart believes Gibbs has the size and physical tools to make the STAR position his own, but he’s a true freshman with only a couple of weeks under his belt at Georgia. Still, the 6-1, 200-pound defensive back might have been recruited with this spot in mind. Georgia raised a few eyebrows when it landed the No. 2 and No. 4 safeties in the Class of 2017, according to the 247Sports Composite Rankings. With a veteran secondary in place, where would the 5-star LeCounte and 4-star Gibbs play? This is part of the reason the STAR position is important for the Bulldogs; it isn’t one that players can simply be taught how to play. Because of the demanding nature of the position, whoever plays STAR has to possess a unique set of natural qualities that aren’t too common. Players who have the speed of a safety, the tackling ability of a linebacker and can cover like a nickel back are coveted prospects on the recruiting trail. A program like Alabama can sell elite prospects on the success other well-known players had at that position. That is an advantage that Smart is hoping to gain at Georgia. Smart’s ability to sell the STAR position might have played a role in landing players like Gibbs and LeCounte. In a defense with proven players, arguably the most important position will be manned by an underclassman. Although neither McGhee nor the two true freshmen defensive backs are well-known players yet, their competition at STAR will have a direct impact this fall. William McFadden covers the University of Georgia for Saturday Down South. For news on everything happening between the hedges, follow him on Twitter @willmcfadden. Another big addition for the Bulldogs. hooray for actual football talk! good article!